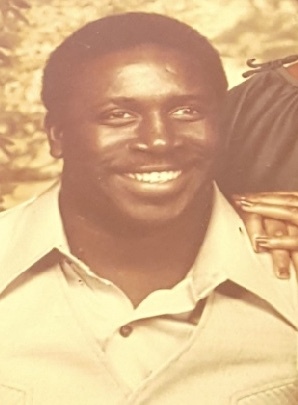 Mr. Samuel Frasier, 63, of Johns Island, SC, entered into eternal rest on Tuesday, March 26, 2019. The relatives and friends of Mr. Samuel Frasier are invited to attend his Home Going Service 11:00AM, Saturday, March 30, 2019 at Bethel Presbyterian Church, 1851 Bohicket Road, Johns Island, SC. Wake Service will be held at the church from 6:00- 8:00PM, Friday, March 29, 2019. Interment - Bethel Presbyterian Church Cemetery, Johns Island, SC. Mr. Frasier leaves to cherish his memories with wife, Sheran Frasier; siblings, Julius Frazier (Viola), Franklin Frasier, Thomas Frasier, William Frasier, Marie Gibbs, and Bertha Wine; godsister, Vergie Tennesion; special niece, Rose M. Frasier and nephew, Terrance J. Frasier; and a host of numerous nieces, nephews, cousins, and friends.